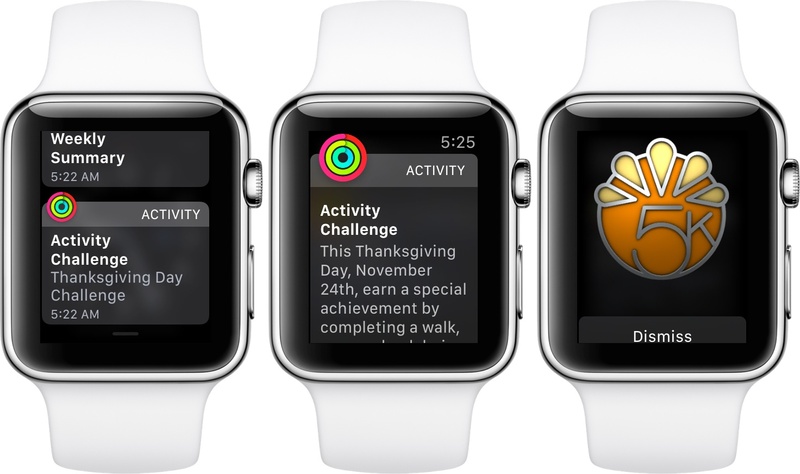 If you woke up and put on your Apple Watch this morning, you may have received a notification about a new Activity Challenge. The notification explains that you will be awarded a special achievement if you complete a run, walk, or wheelchair workout of at least 5k on November 24th, Thanksgiving Day in the US. The workout can be recorded using the Apple Watch’s Workout app or any third-party app that records workouts to the Health app. According to 9to5Mac.com, the new Activity Challenge appears to be US-only. 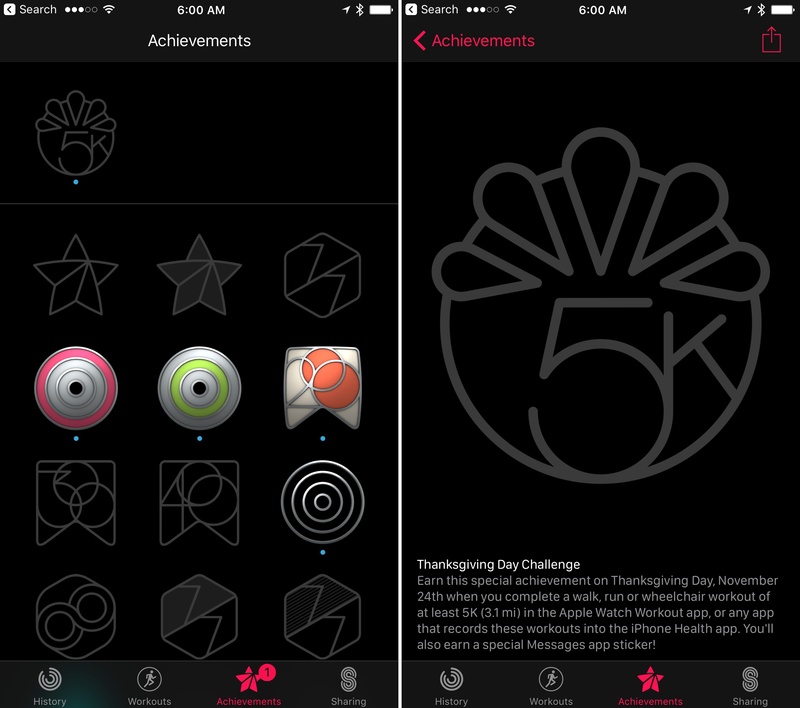 In addition to receiving a special 3D achievement badge, the Activity app on iOS adds that if you complete the challenge, you will get an iMessage sticker that you can share with others. This is the first time that Apple has created a special activity challenge around a holiday or other event. I’m excited to see Apple introduce new workout challenges and try new perks like iMessage stickers for completing challenges. By mixing it up and keeping the achievements fresh, it should encourage Apple Watch users to use the Workout app more frequently.